Over the last few years, hyper-converged systems have gained significant traction in organizations of all sizes, from enterprises to SMBs. A hyper-converged platform, however, is only as good as its underlying hardware. This is especially true for storage. To address this, solid-state drives have long been an option in hyper-converged platforms, but some organizations are reluctant to use them because of concerns about cost or hardware longevity. 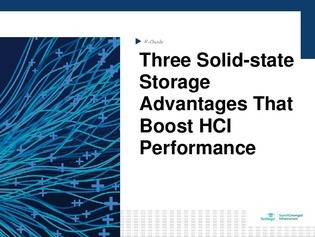 This expert guide dispels those concerns about using SSDs to support HCI platforms, highlighting 3 critical advantages flash brings to HCI. Read on to learn how to maximize your HCI investment. Disclaimer: Dell, EMC, and other trademarks are trademarks of Dell Inc. or its subsidiaries.